I’m going to combine my first bat day with the second. 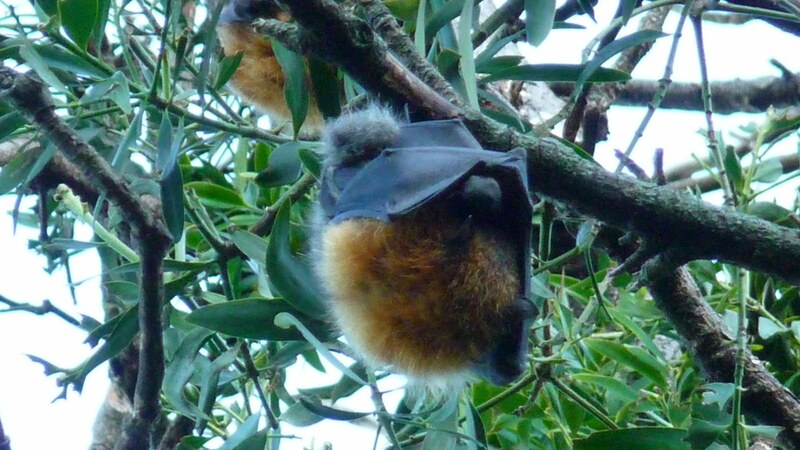 I went to see the bats again with my husband and his coworkers a few days later, but you don’t need repeat posting, so we’ll make this an all out BATastic post. 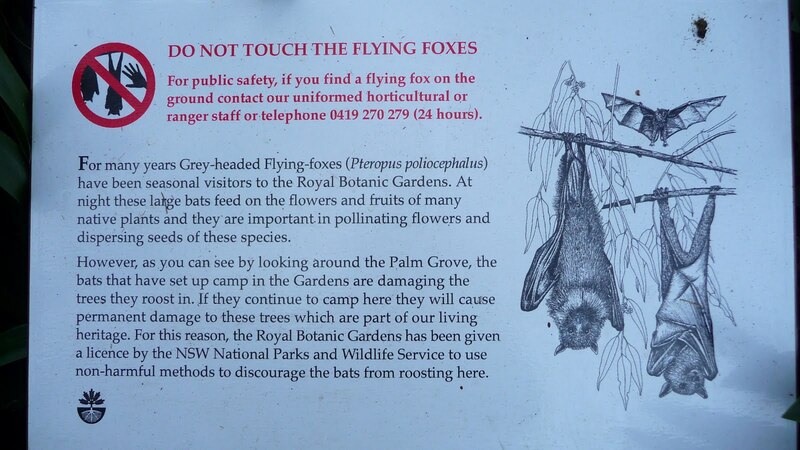 I knew the bats were at the Royal Botanic Gardens, but only because I read it somewhere. People here don’t talk about the bats. They don’t think it is a big deal. DUDE. These things are BIG and a DEAL. When I first entered the gardens I saw what you would expect to find in a place like that. 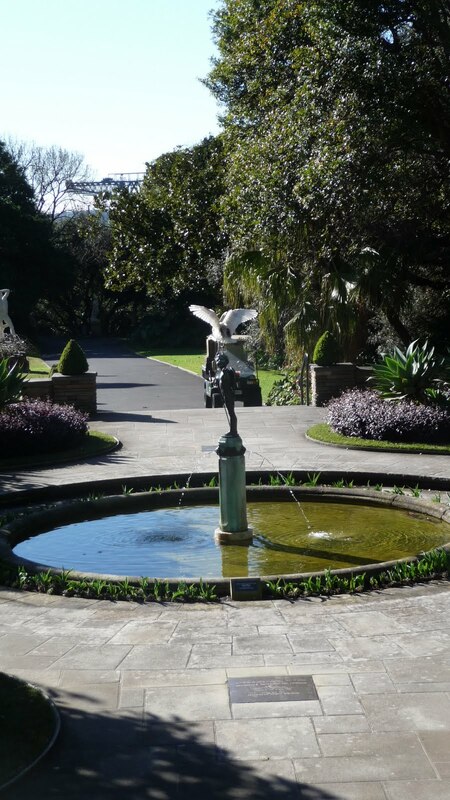 There were fountains with birds. There were cool trees with roots growing from the top. 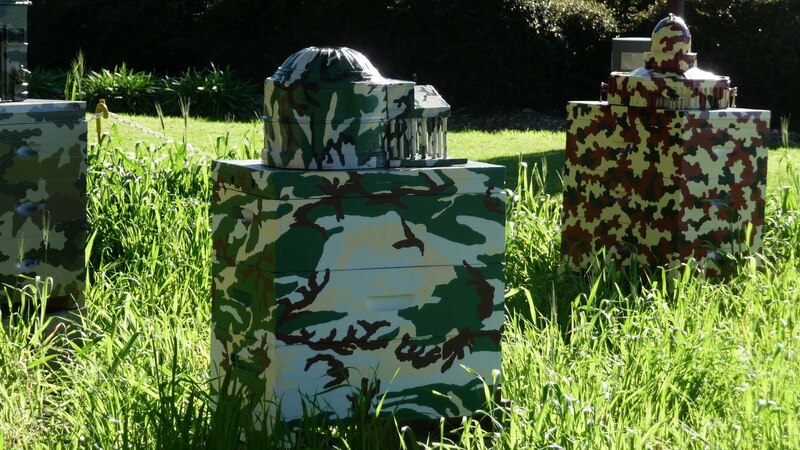 There was an art installation of painted beehives (no bees). 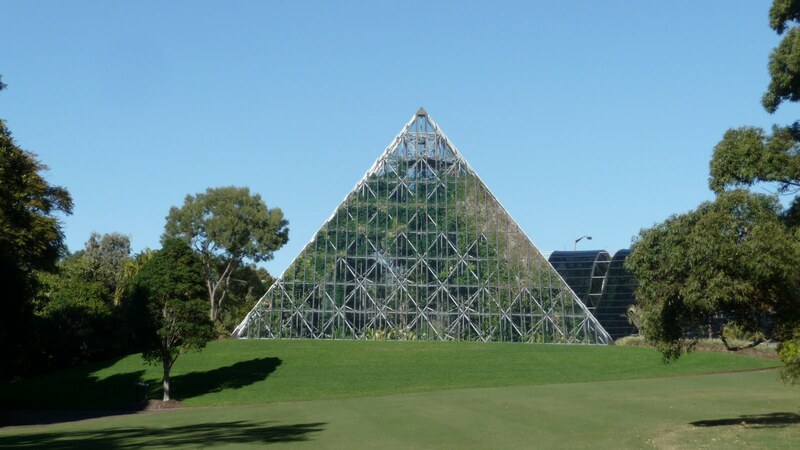 There was a tropical center in a pyramid. 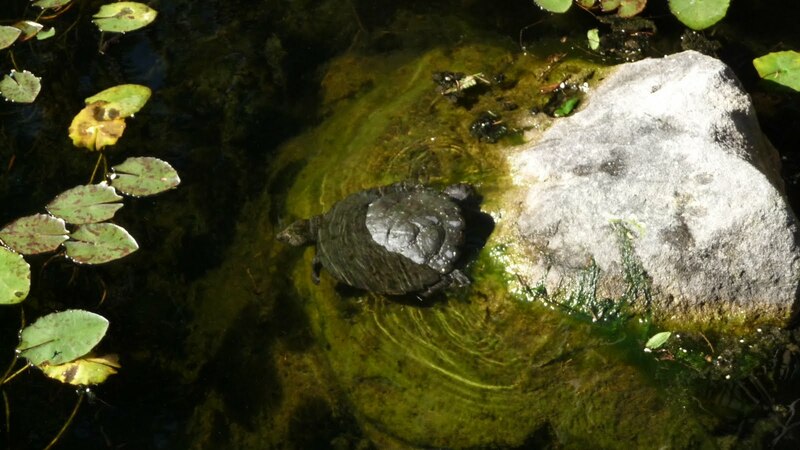 There was a turtle swimming in a pond. What is that big thing hanging there? They have orange furry heads. They make creepy gremlin noises and mess with each other while napping. 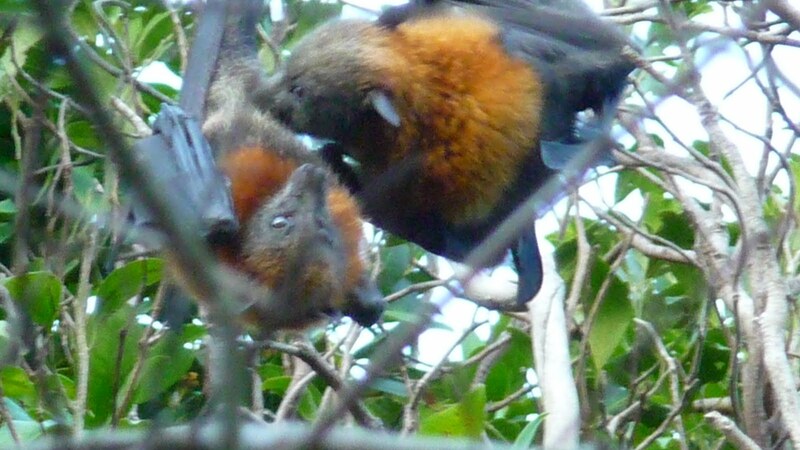 My husband took this video when he came to see the bats. It is amazing. BATS! from Amy Carter on Vimeo. That’s some crazy Halloween sh!t. 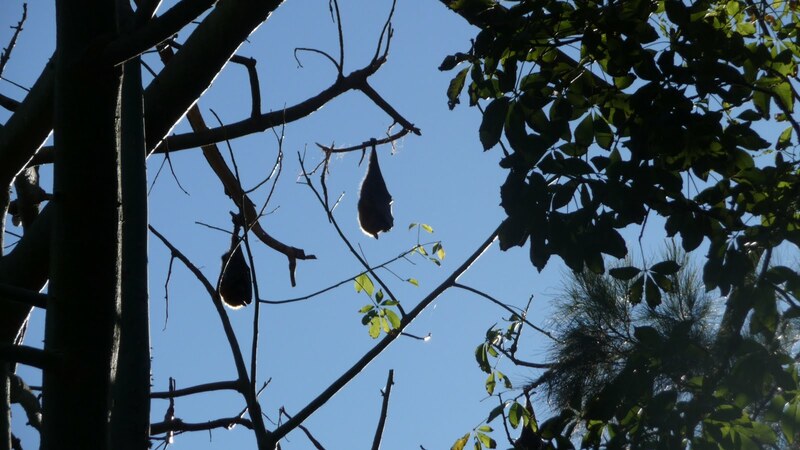 Once I got over the fact that every time I looked up, I saw hundreds of bats hanging from the trees, I managed to see a bit more of the gardens. 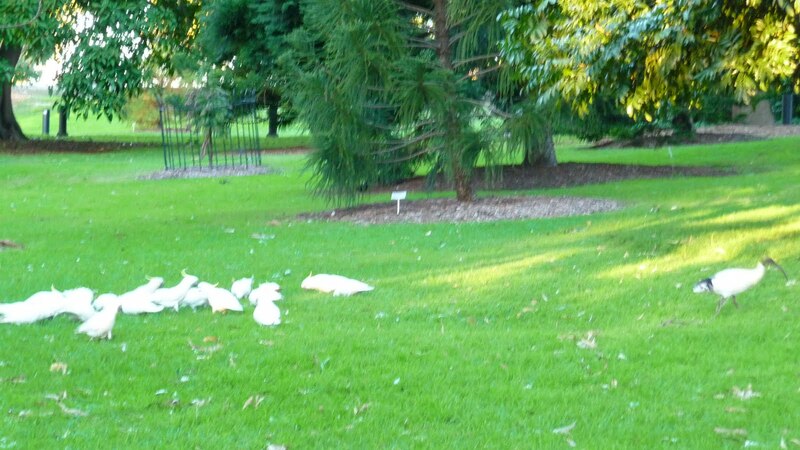 Hmmm… what are those white birds hanging out on the lawn over there? 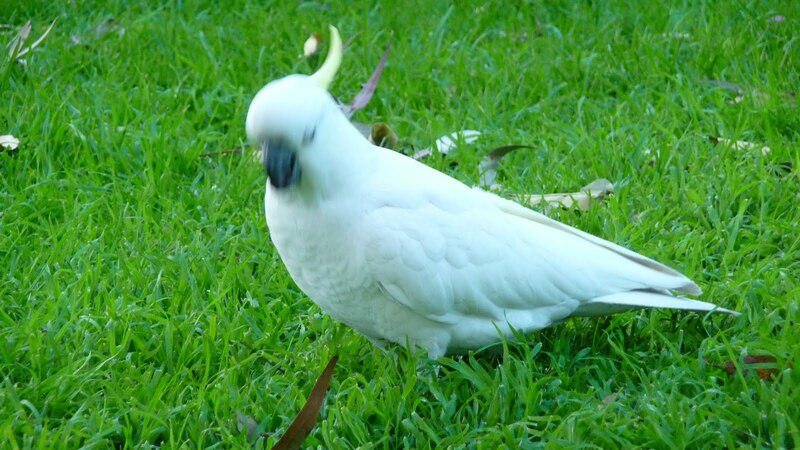 Oh, just a bunch of cockatoos. They hang out like pigeons around here. Really beautiful pigeons. 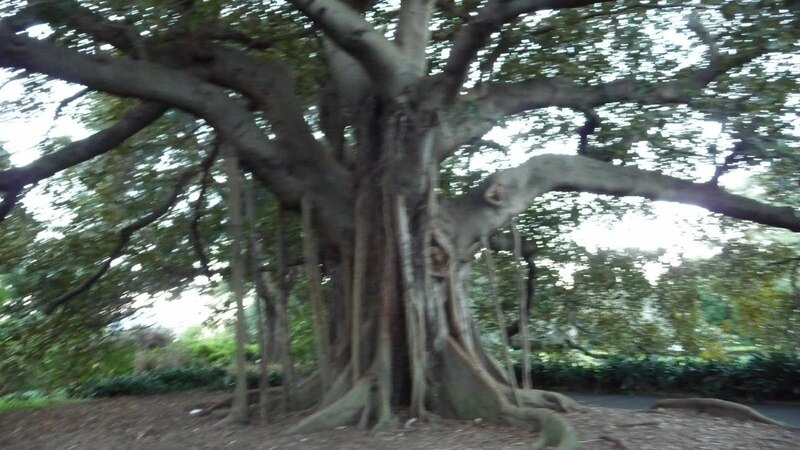 After the gardens, we headed to the Domain, a park across the street. The gardens close at 5pm, but the bats fly out around 5:15pm. 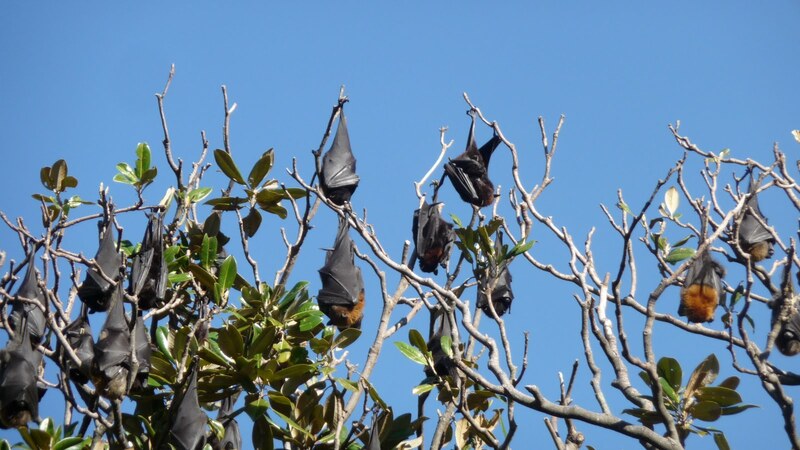 A lady I befriended who worked at the tropical center said we should go to the Domain when the gardens closed to get a good view of the bats flying out for the night. 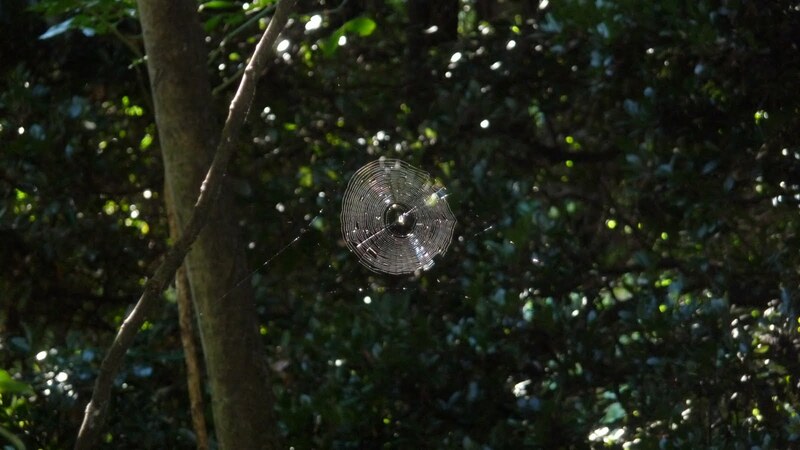 First, we saw one of these. 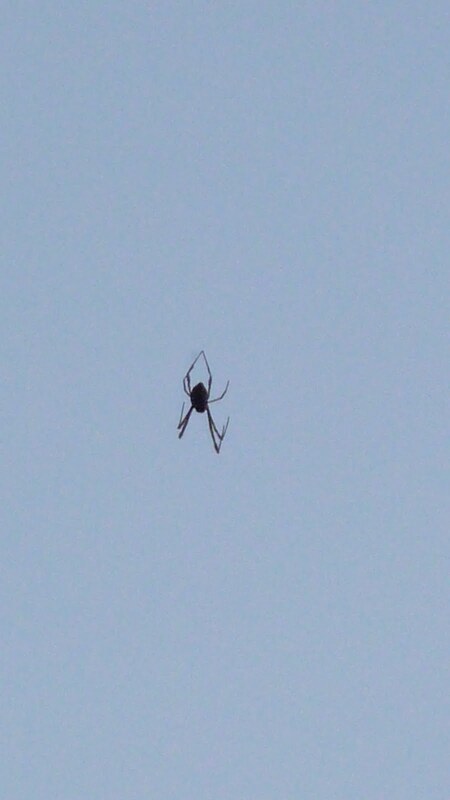 I’m pretty sure this spider kills people. My husband’s coworker was hoping that the sky would “turn black,” but they don’t happen to fly out all at the same exact time. 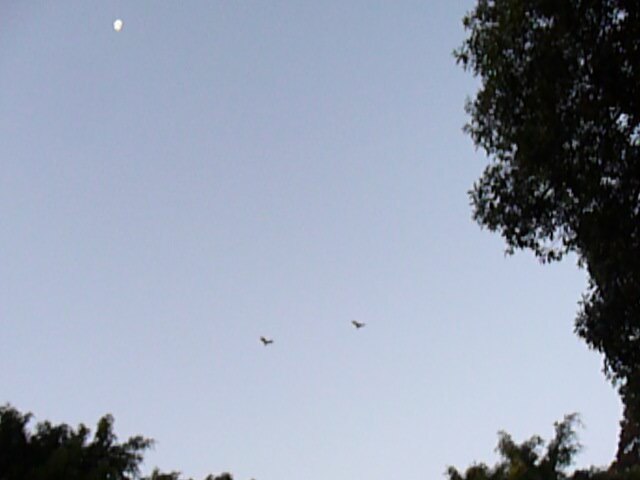 There’s no bat alarm clock that goes off at 5:15 to wake them all off and send them all into the skies at once. It was a very cool thing to see, though. 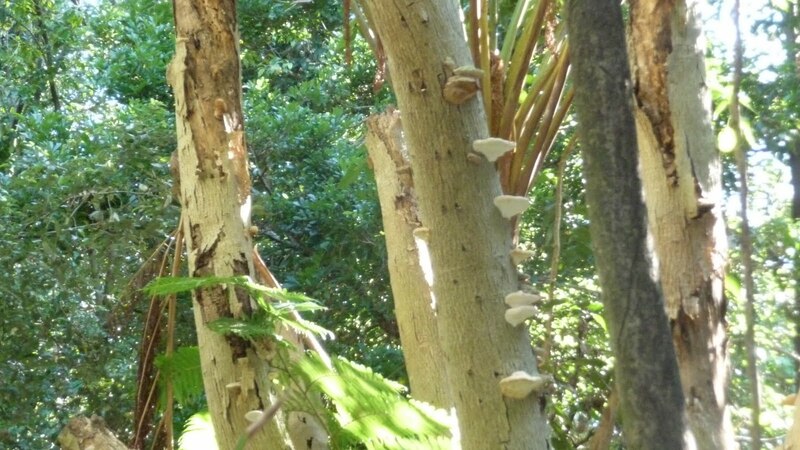 Some of them even landed in the trees at the Domain and crawled around looking for bugs and things to eat. They are super creepy when they crawl around with their winged hands. That night for dinner, we had Yum Cha, Australian for Dim Sum. SO much food. I couldn’t even touch the last course. Up next, my very favorite part of the city, Surry Hills! Stay tuned!!! I love reading your views as a visitor to Sydney! 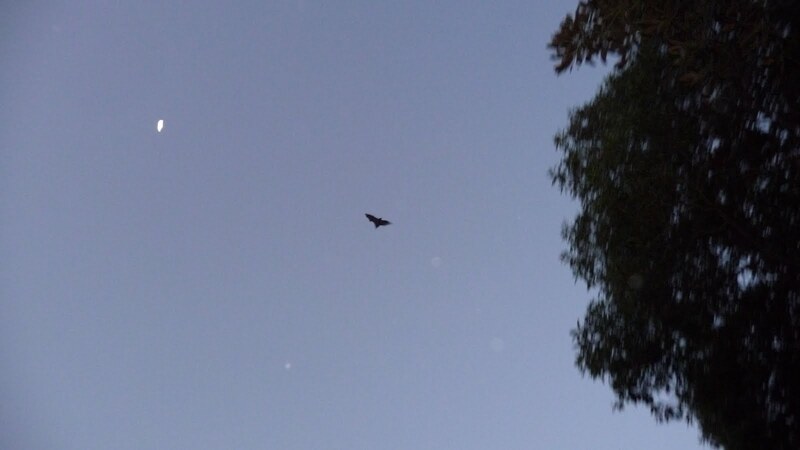 Lol about the bats, can take you by surprise when you look up and see thousands, it's quite a sight every night when they all fly off to their feeding grounds, especially in summer!